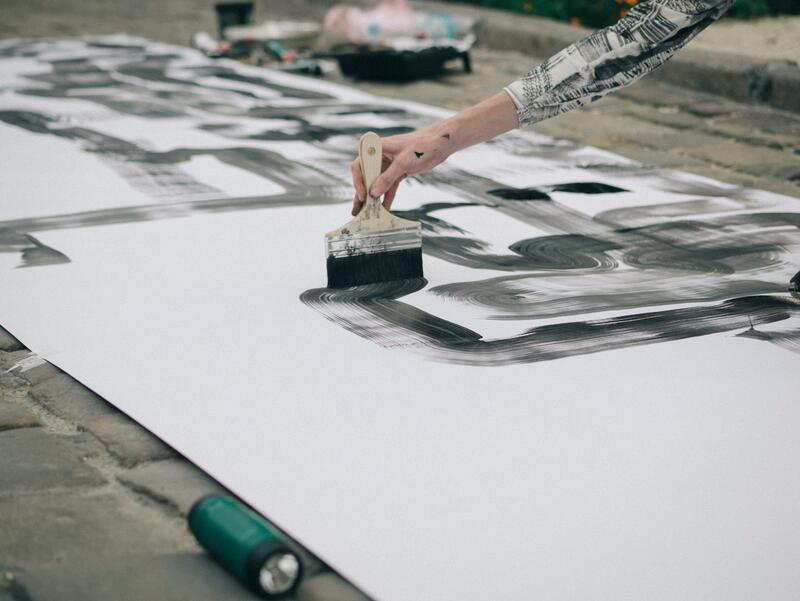 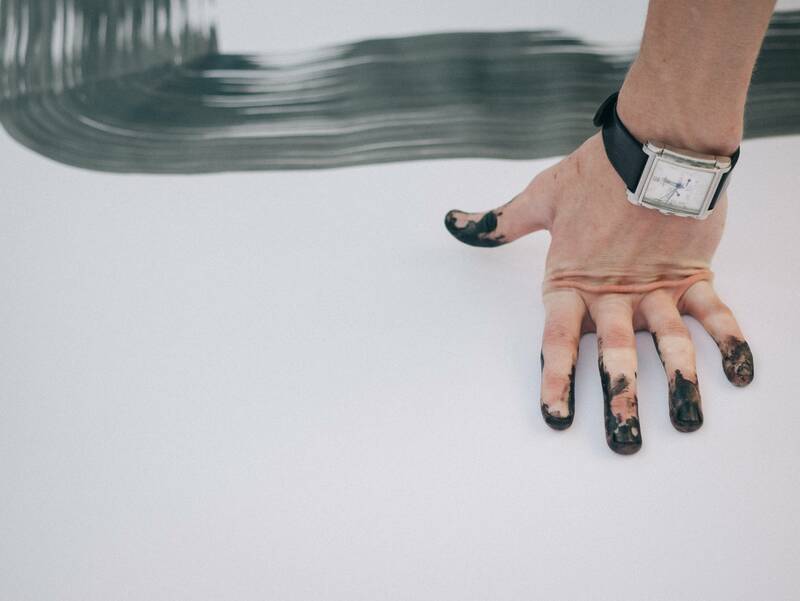 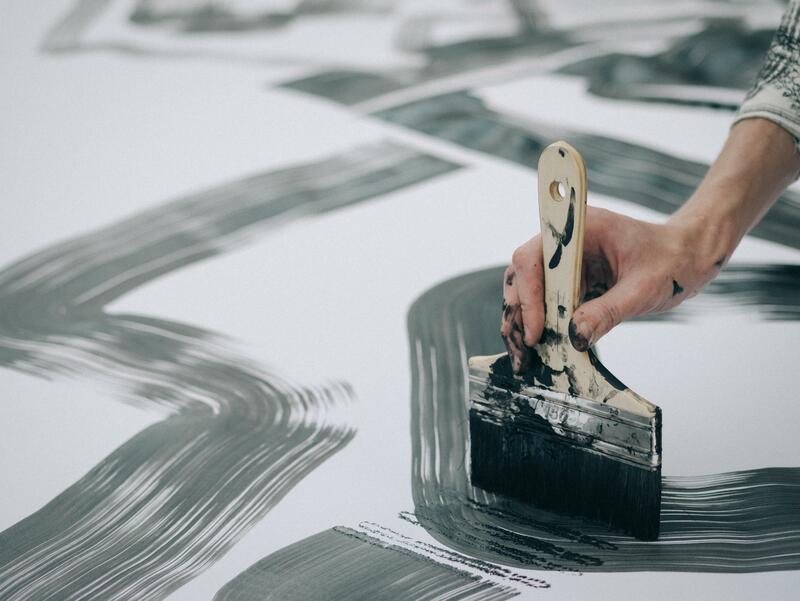 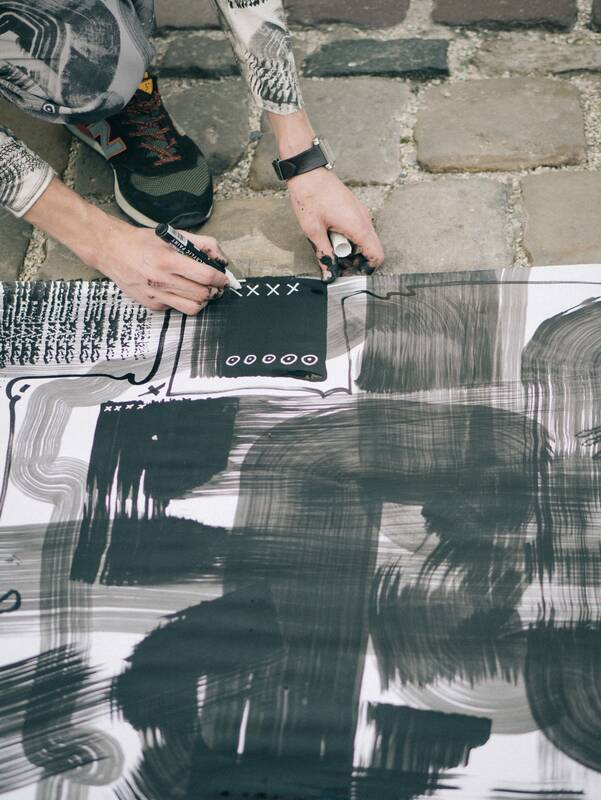 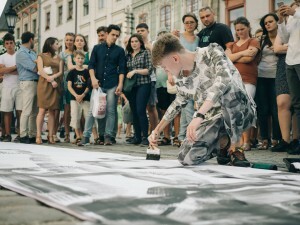 The artist set himself a goal, for an hour and a half to draw a picture of acrylic paints and markers on a ten-meter long drawing paper. 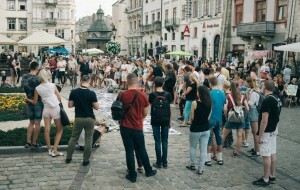 The action took place in the open air on one of the most crowded squares of the country – Rynok Square in Lviv. 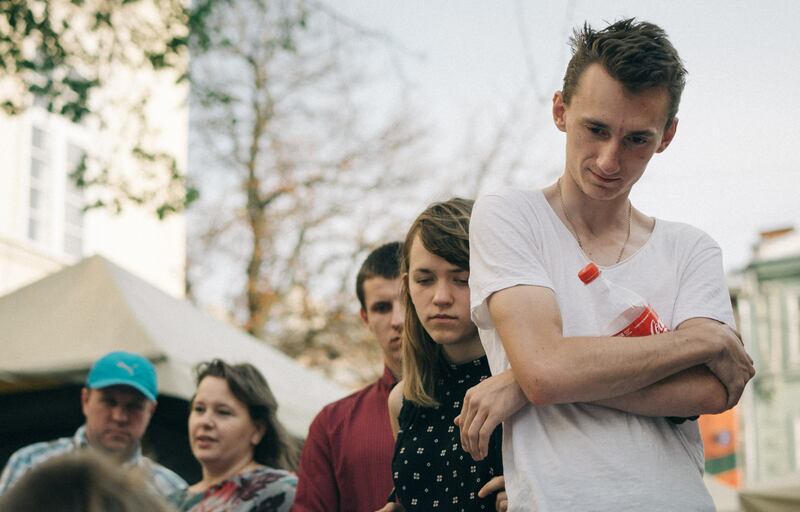 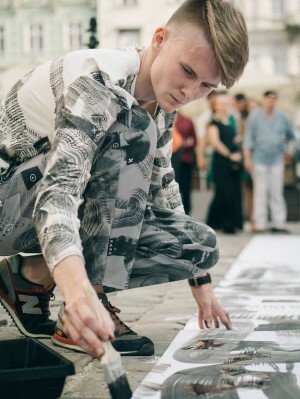 In general, the prehistory of Maksym's performance "here and now" was participation in the spring student contest "Silver Easel" 2017, on which, as the author notes, one believed in him, and he, in turn, believed in himself. 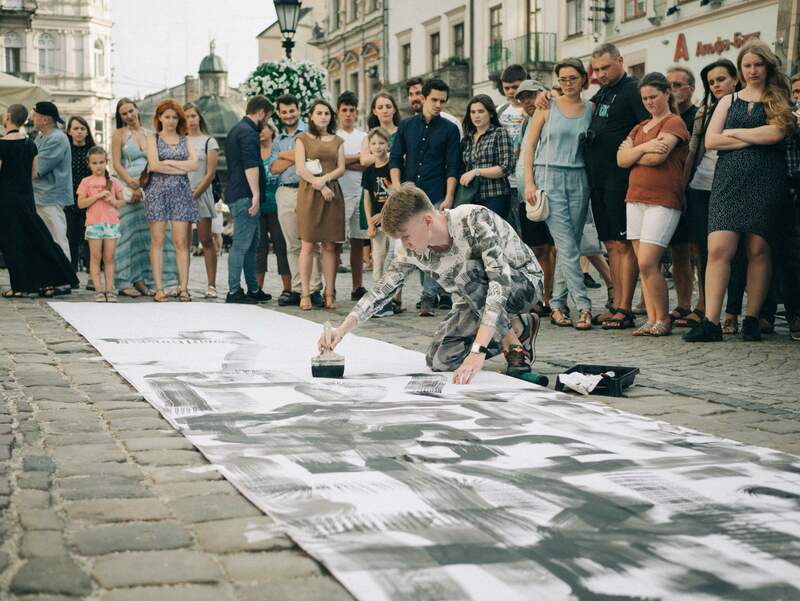 Many people do not understand his painting, even sometimes one can hear the "cliché" phrase – "I can do that too!" But in fact all, who say so – cannot and will not do it, because they have already driven themselves into certain frames and have established all sorts of restrictions for their own perception of the world. As for the author himself, he describes his creativity in such a way: "The idea of seeing everything as one whole. This is expressed in colour, style and use of materials. The search for a single and indivisible continues. 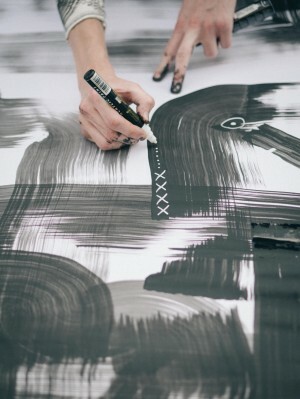 I'm trying to create my own style, develop and improve in the means and forms of self-expression. " 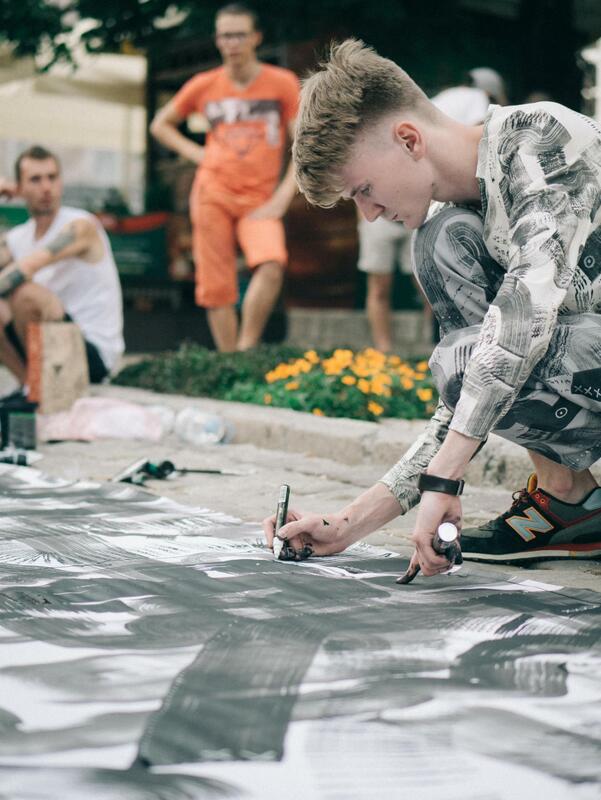 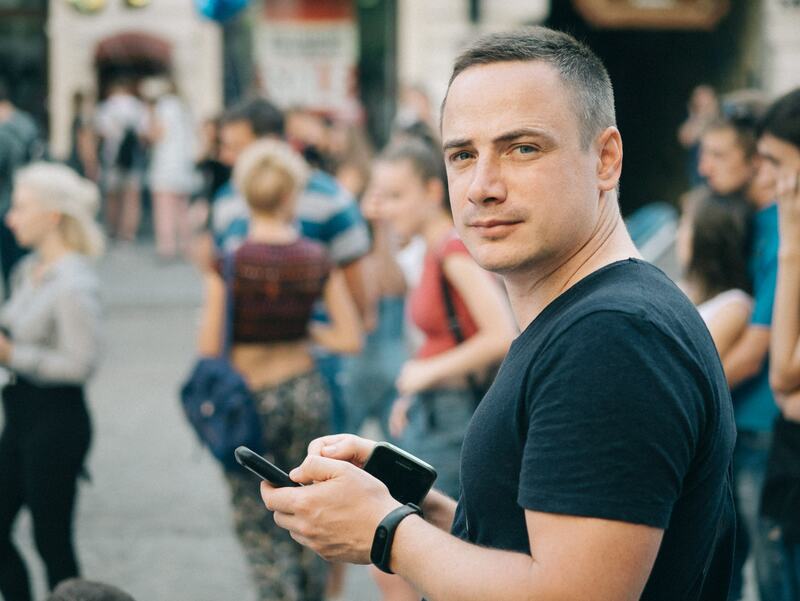 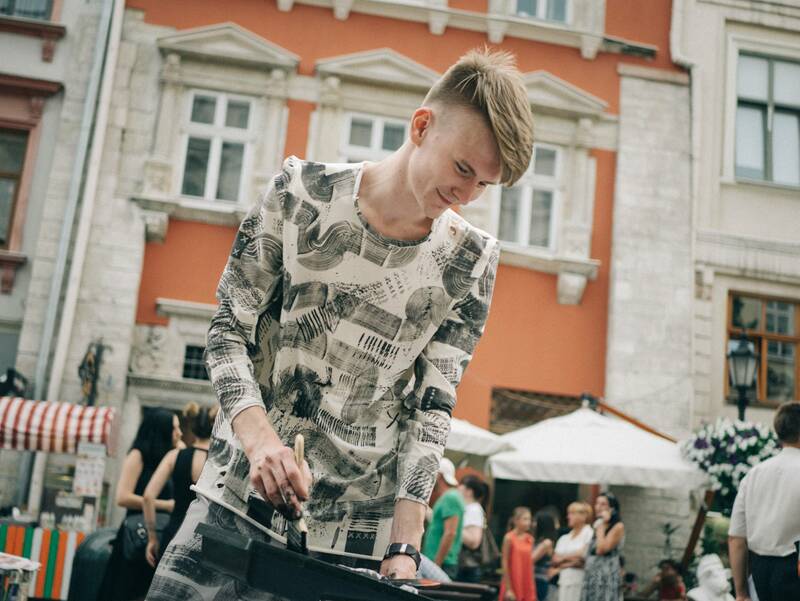 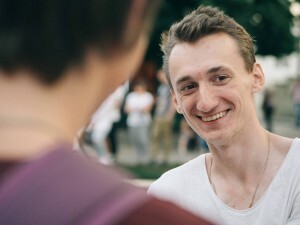 After the contest "Silver Easel" Maksym Skvortsov was clearly convinced of the truth of what he was doing, and finally realized his vocation as an artist and that drawing – it’s his life. He began to work hard on himself, using modern communication tools and media capacity of Instagram and Facebook. 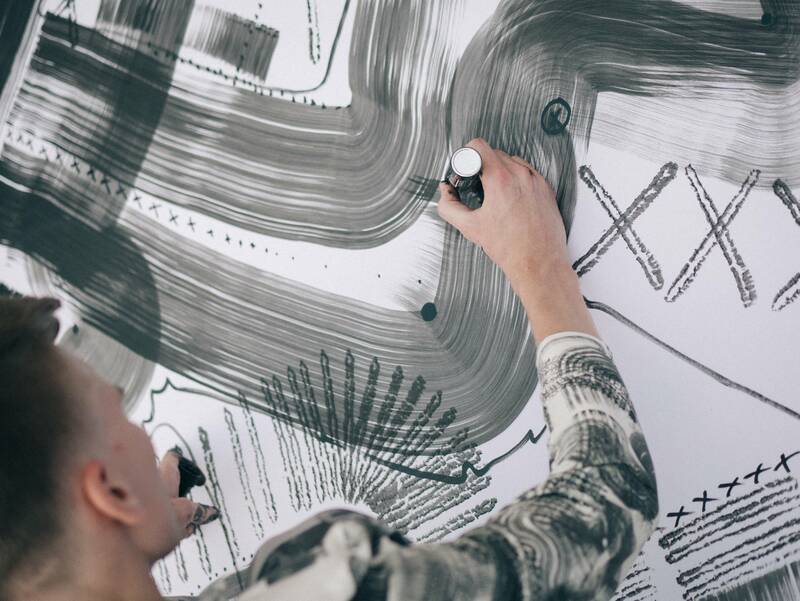 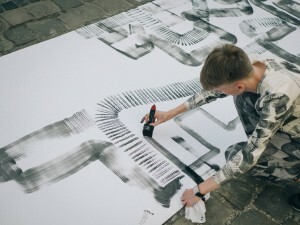 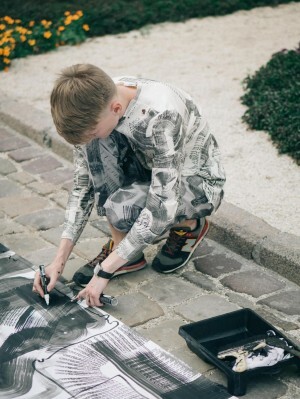 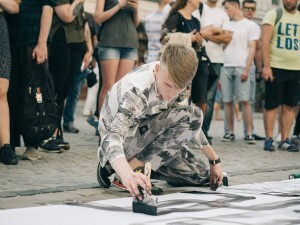 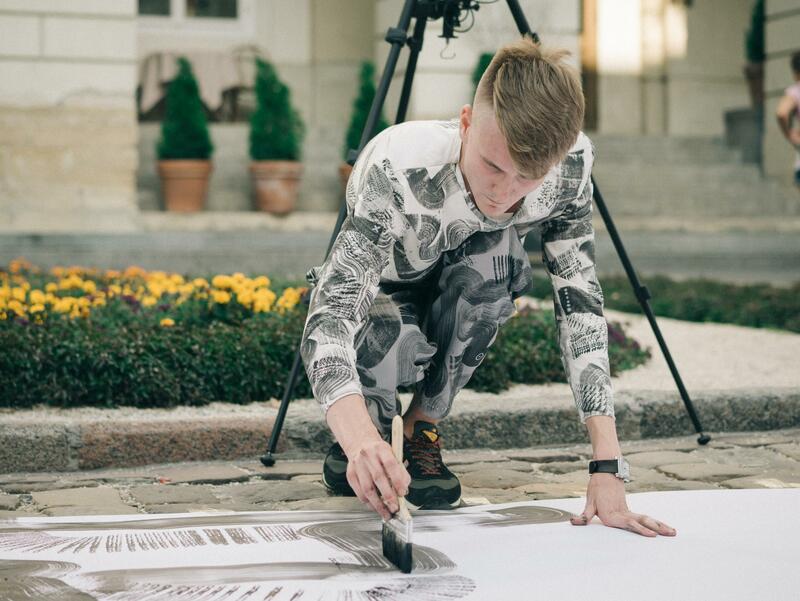 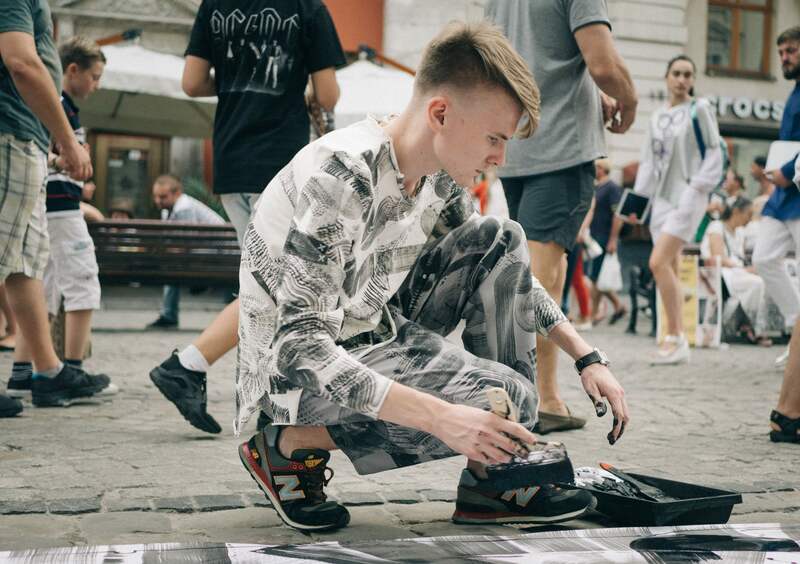 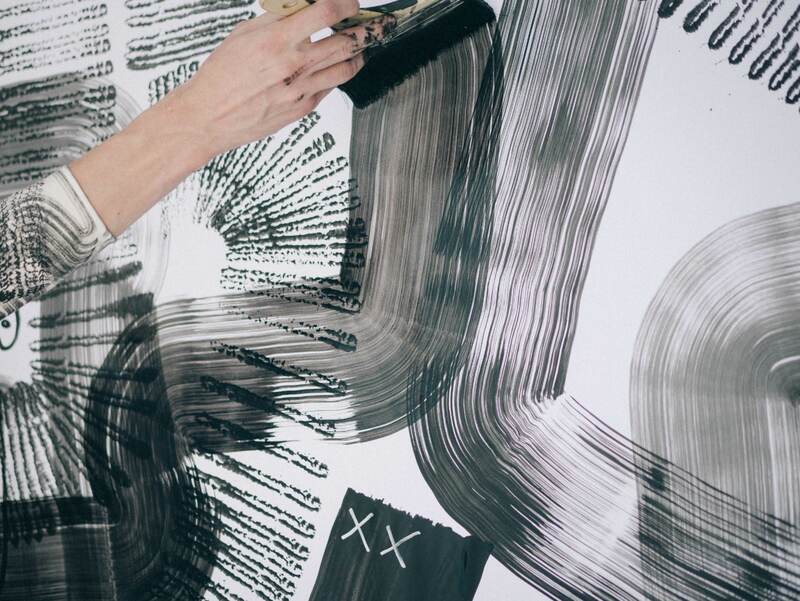 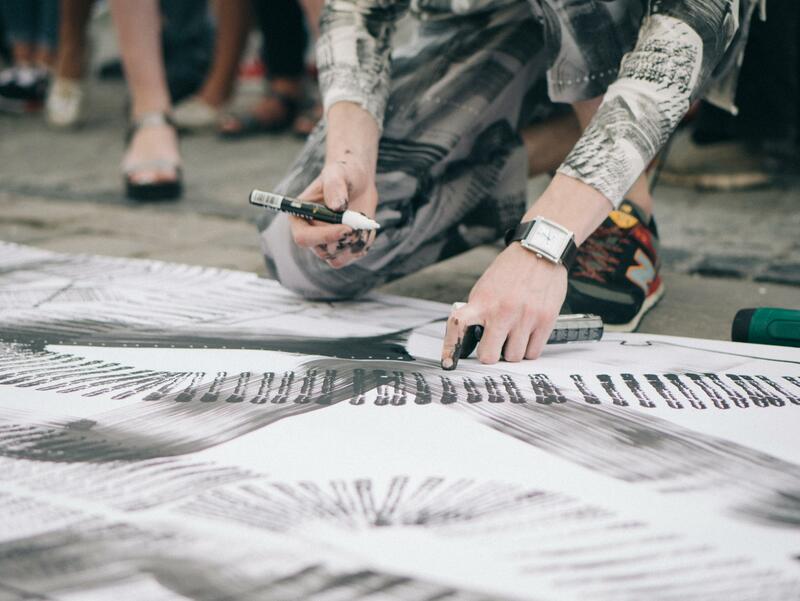 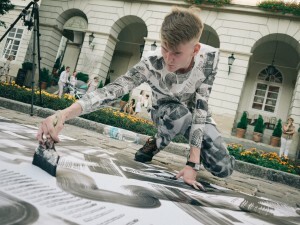 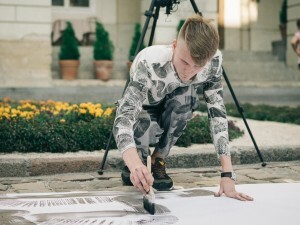 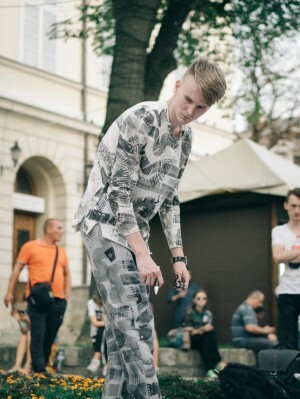 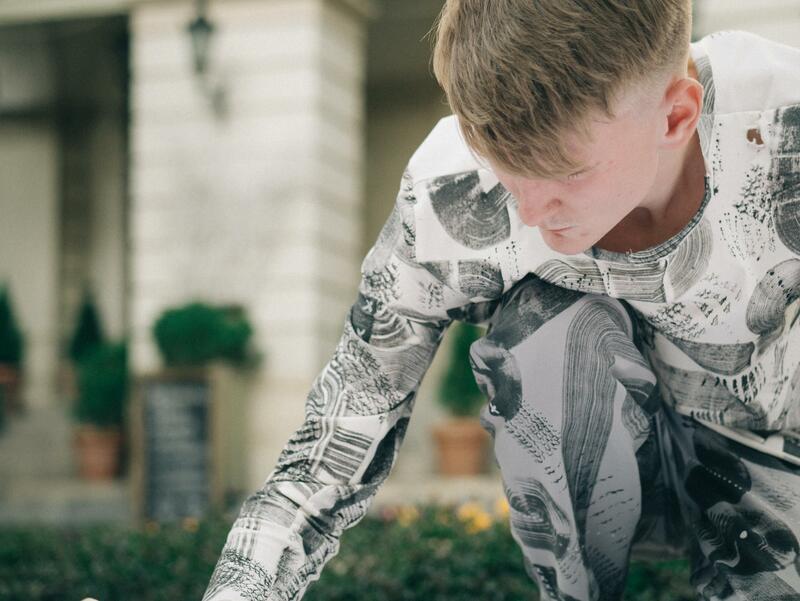 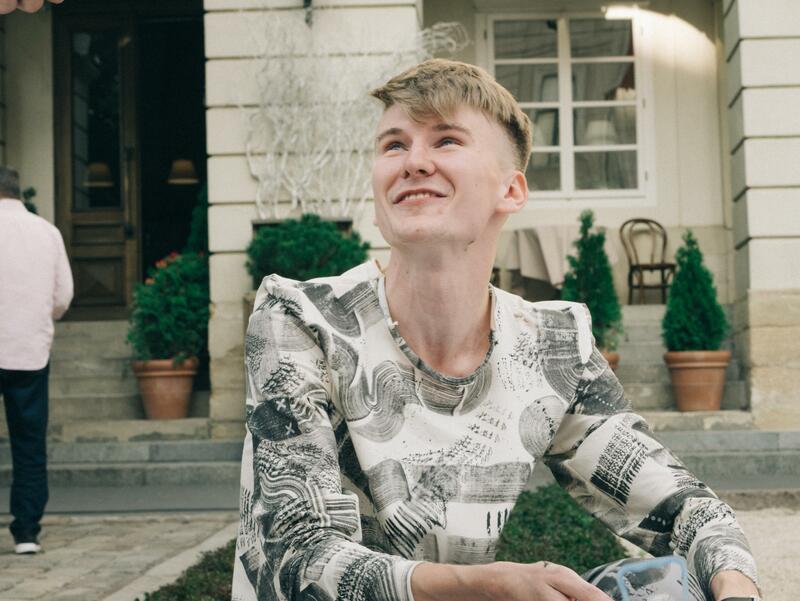 The result was not long in coming – the young artist received an invitation from the Boston Gallery to take part in the exhibition, and he has already received an offer to create branded clothes together with designer Oleh Havryliv. 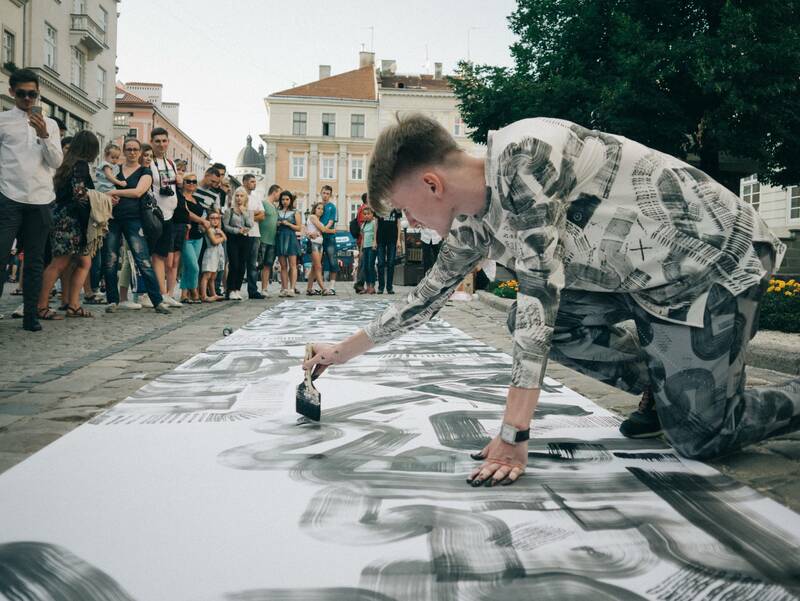 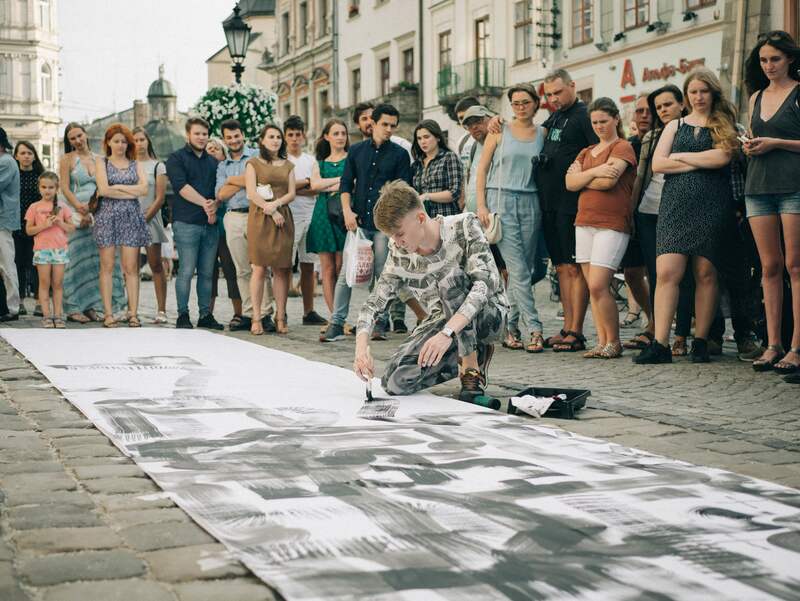 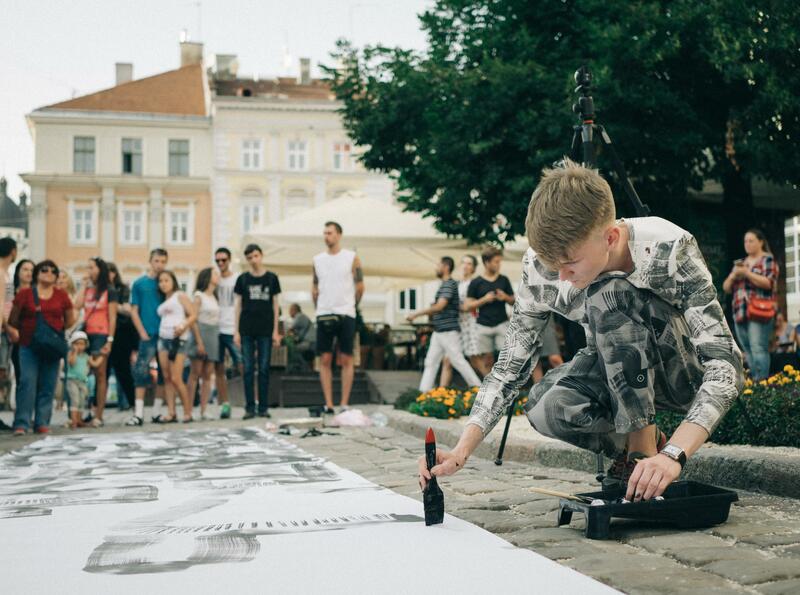 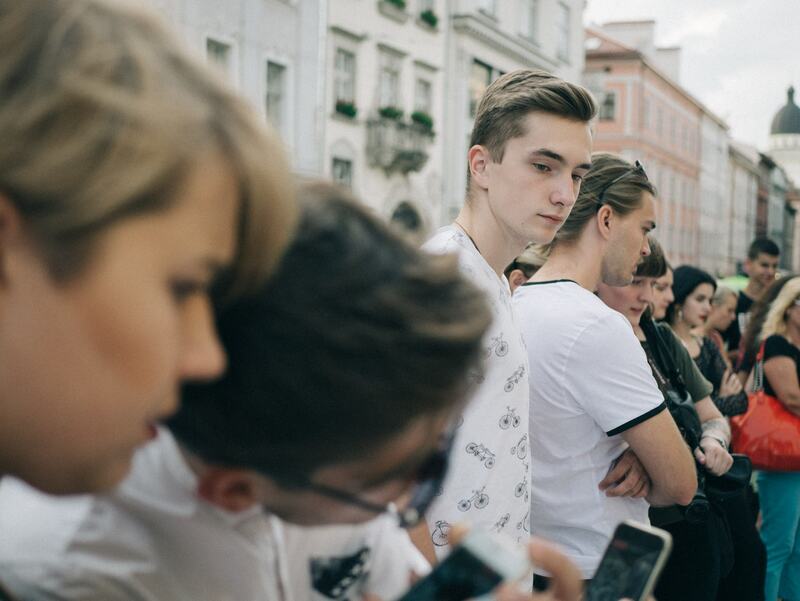 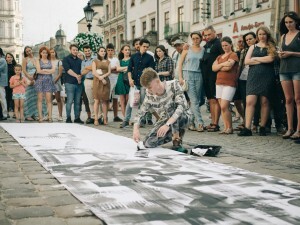 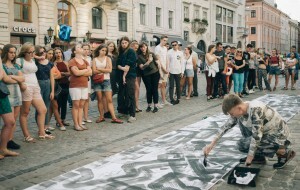 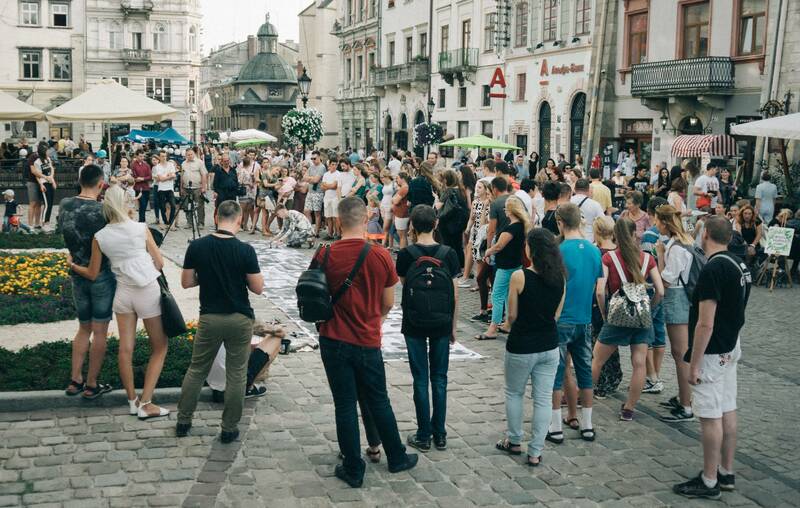 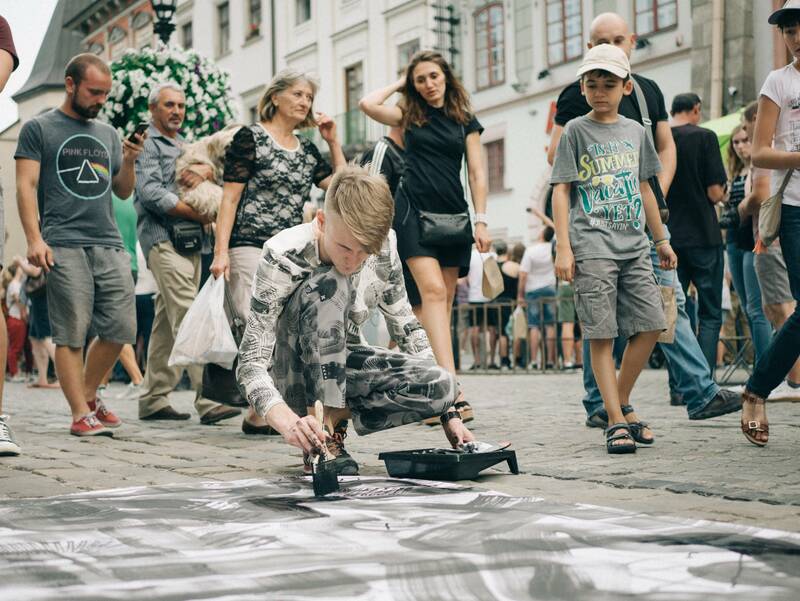 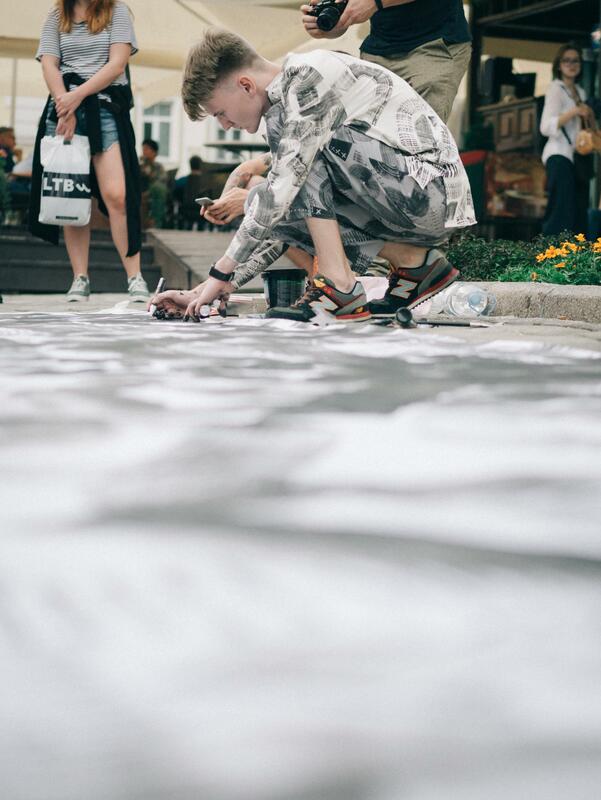 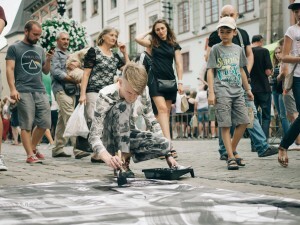 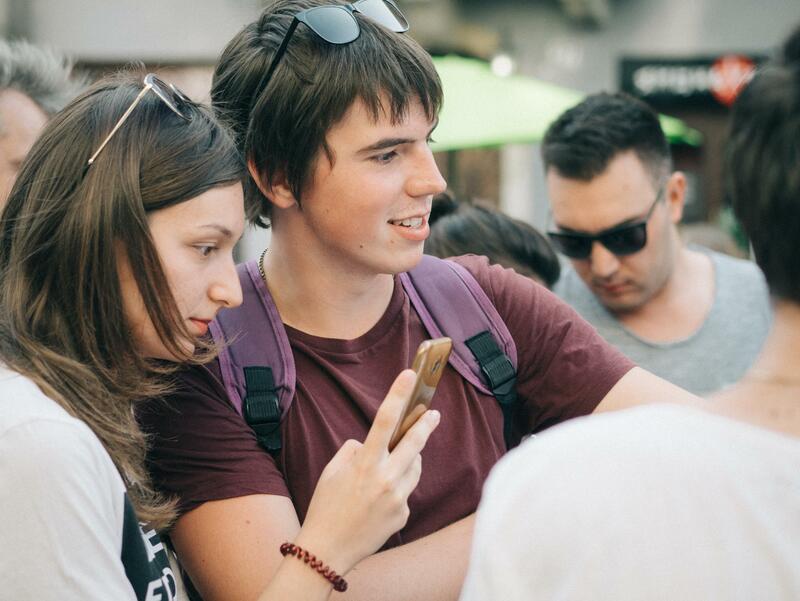 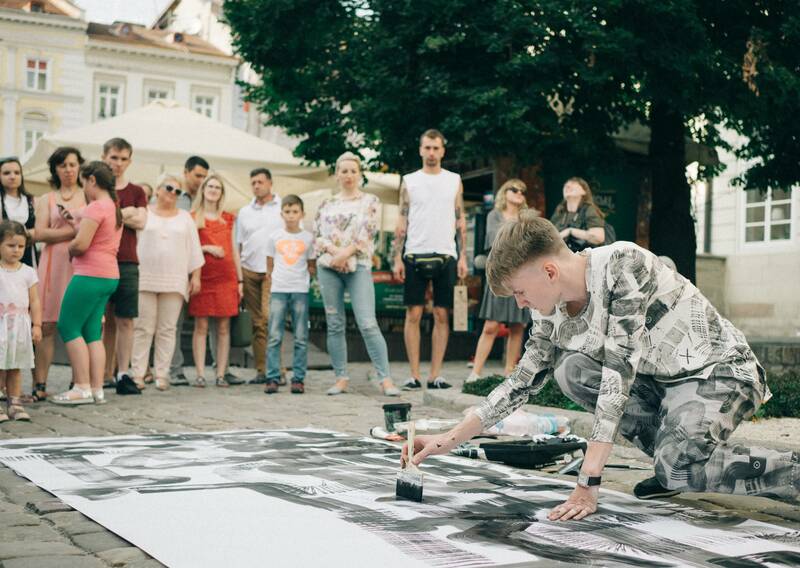 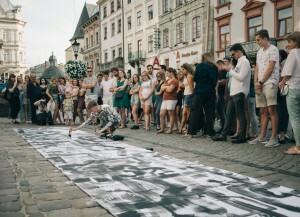 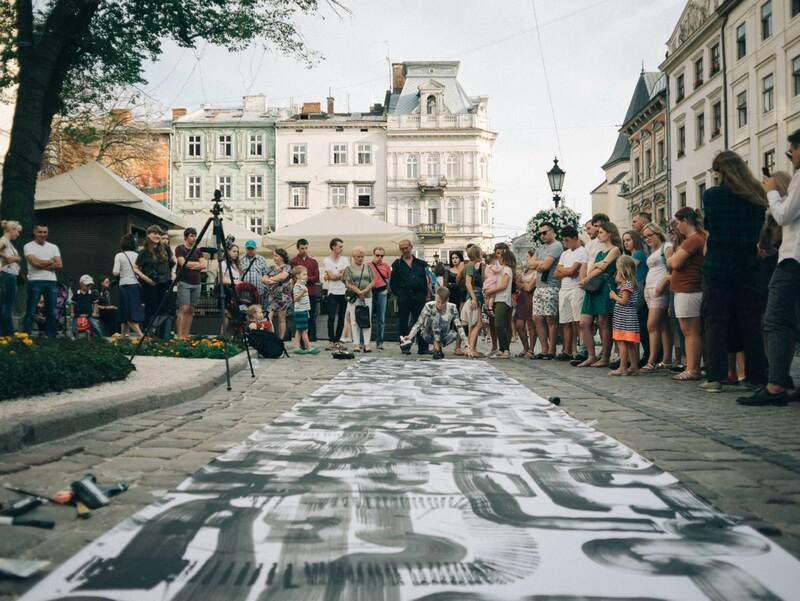 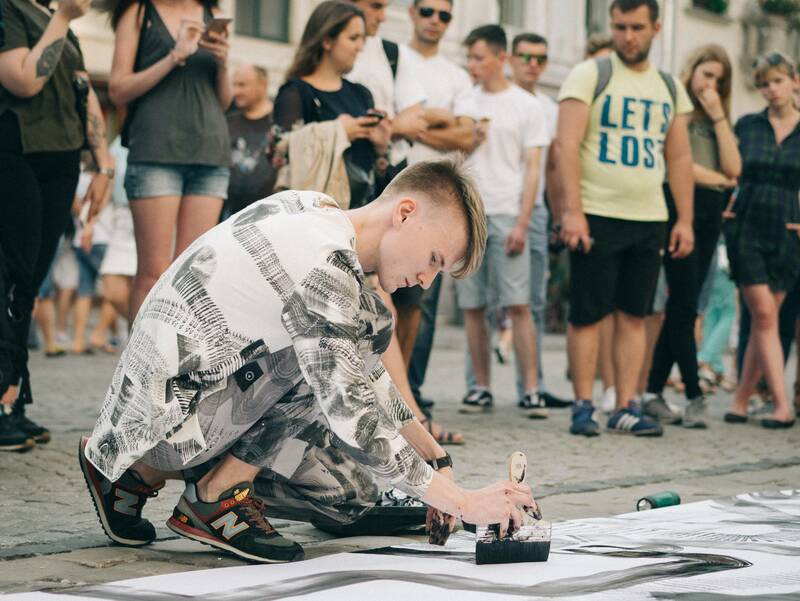 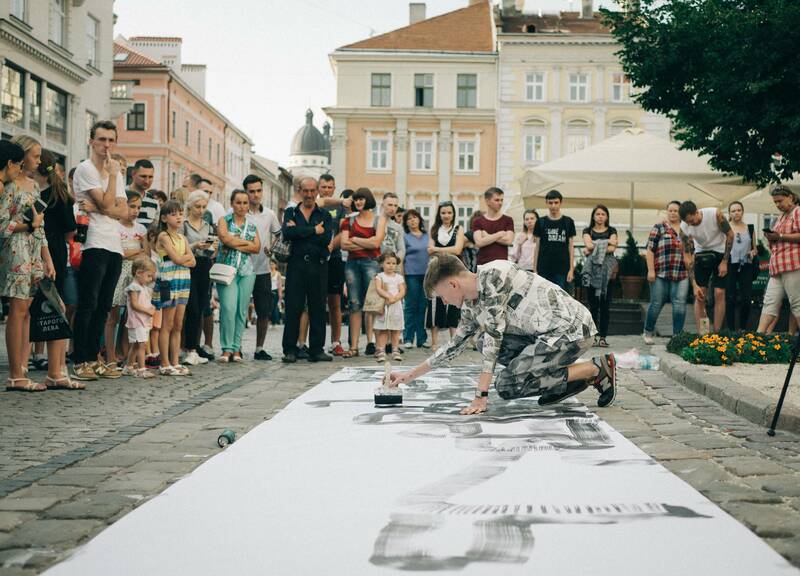 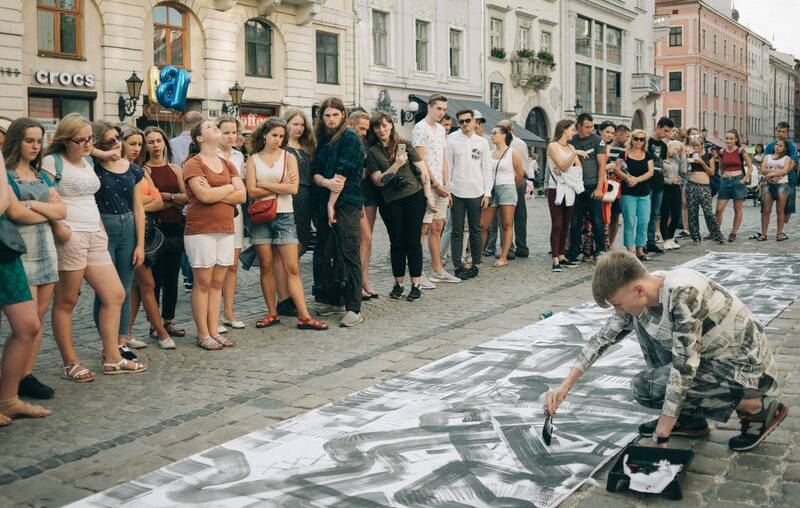 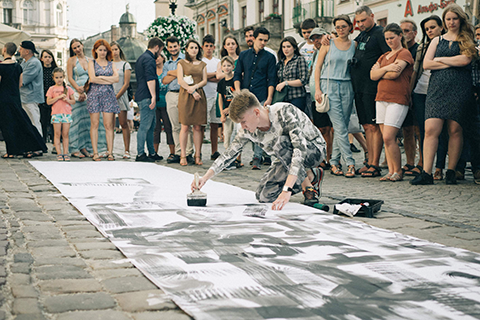 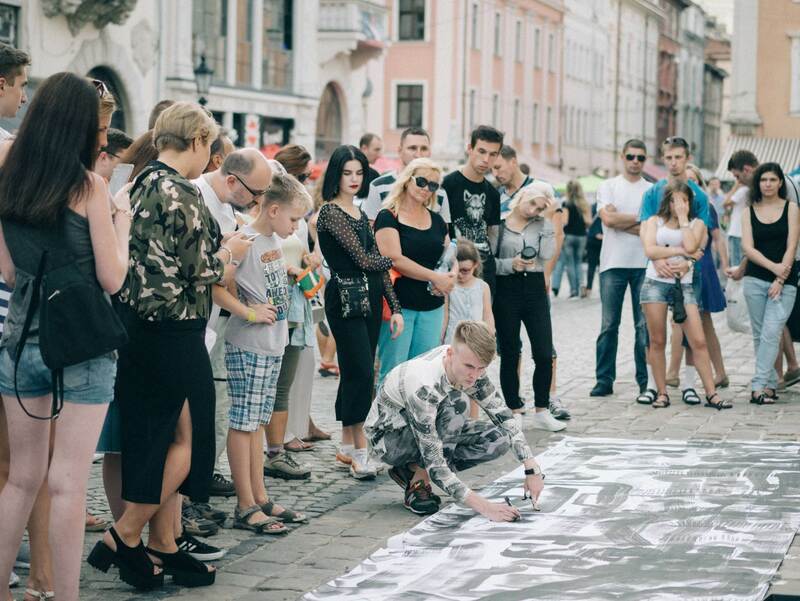 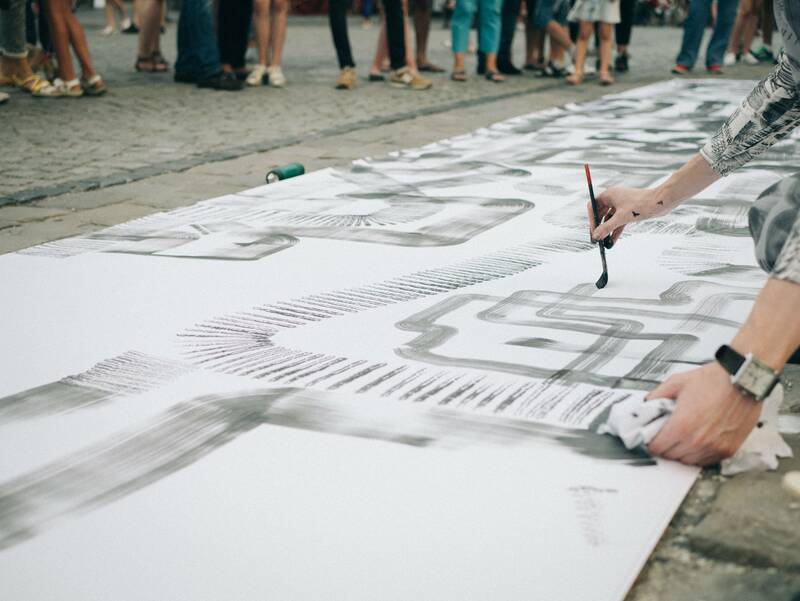 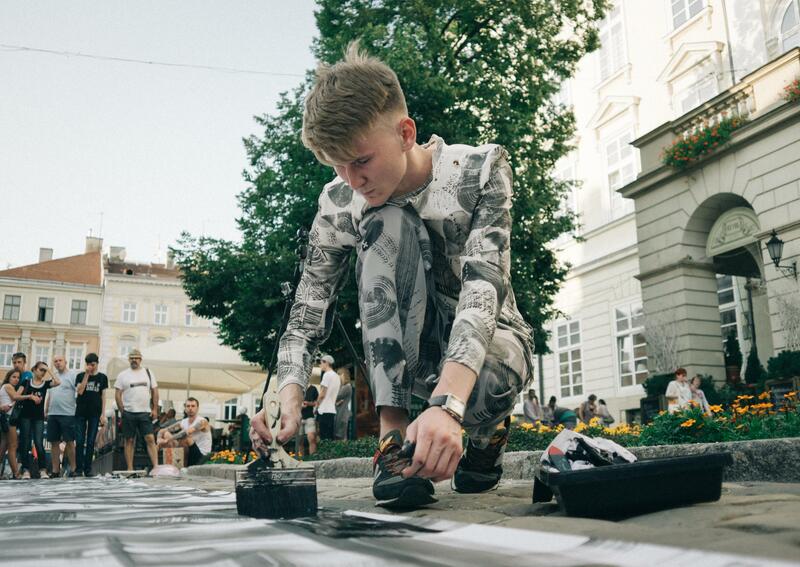 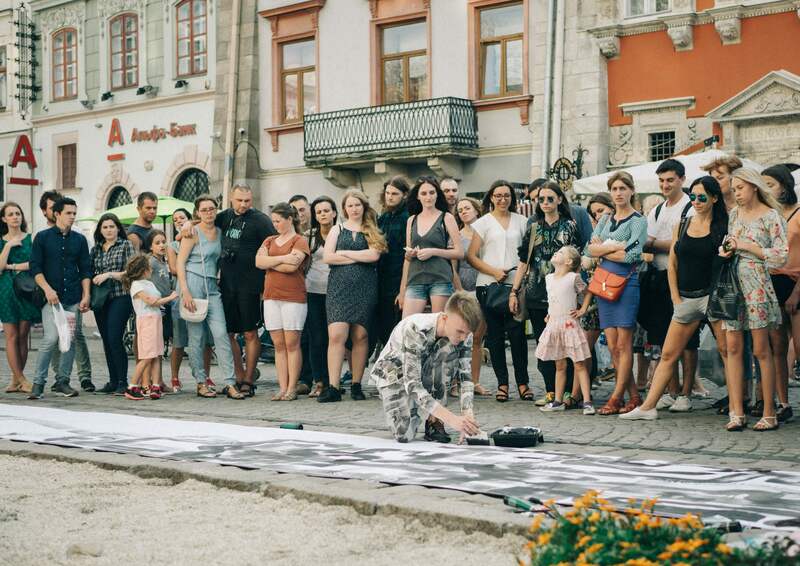 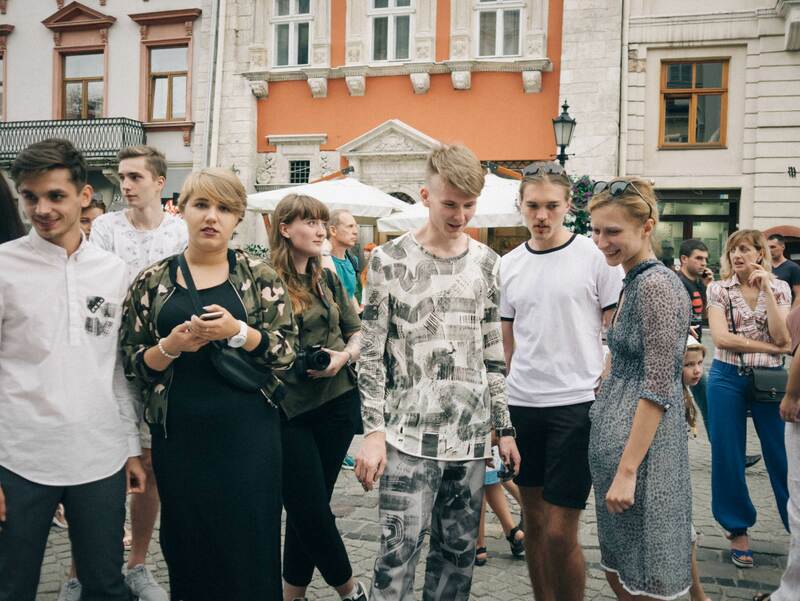 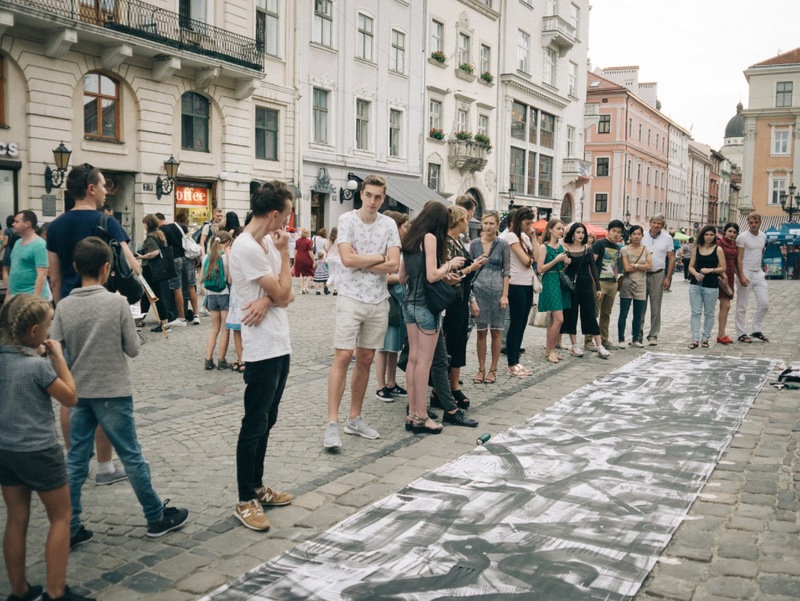 The young artists Volodymyr Kohut, Kateryna Shelevytska, Maksym Hospodynchyk, who were also contestants of "Silver Easel" came to support the Lviv action of the artist. "10 METERS OF YOUR OPPORTUNITIES"